Jazz at Princeton University, helmed by acclaimed saxophonist/composer Rudresh Mahanthappa, presents a rich and varied 2017-2018 season, October 14, 2017 – May 12, 2018. Highlights include performances by student groups joined by guest artists including celebrated pianist Gerald Clayton, renowned vocalist Theo Bleckmann, saxophone legend Archie Shepp with Amina Claudine Myers, and venerable Panamanian pianist Danilo Perez. Jazz at Princeton has five major student ensembles: the Creative Large Ensemble directed by Darcy James Argue, two Jazz Small Groups directed by Rudresh Mahanthappa, the Jazz Vocal Collective directed by Trineice Robinson-Martin, and a new Vocal Improvisation Ensemble directed by Jay Clayton. Saturday, October 14, 2017 – Special guest pianist/composer Gerald Clayton and his trio join Jazz at Princeton University students. 8:00 pm, Richardson Auditorium in Alexander Hall. Tickets are $15, $5 for students, available at 609-258-9220, or online at tickets.princeton.edu. 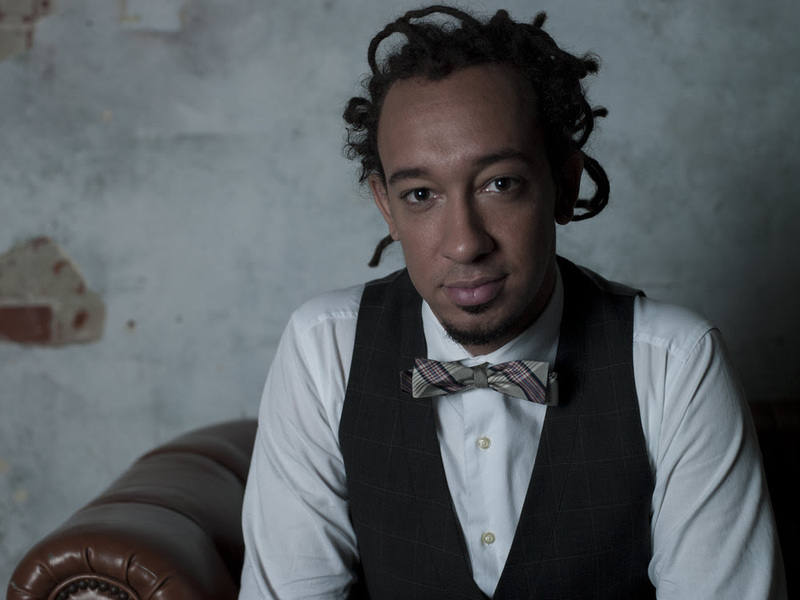 Four-time GRAMMY nominated pianist/composer Gerald Clayton formally began his musical journey at the Los Angeles County High School for the Arts, where he received the 2002 Presidential Scholar of the Arts Award. He earned a Bachelor of Arts in Piano Performance at USC’s Thornton School of Music under the instruction of piano icon Billy Childs, after a year of intensive study with NEA Jazz Master Kenny Barron at The Manhattan School of Music. Clayton won second place in the 2006 Thelonious Monk Institute of Jazz Piano Competition. He has performed and recorded with such artists as Diana Krall, Roy Hargrove, Dianne Reeves, Ambrose Akinmusire, Dayna Stephens, Kendrick Scott, Terri Lyne Carrington, Avishai Cohen, and the Clayton Brothers Quintet. Since 2013, Clayton has toured and recorded with saxophone legend Charles Lloyd. 2016 marks his second year as Musical Director of the Monterey Jazz Festival On Tour, a project that has featured his trio along with Ravi Coltrane, Nicholas Payton, Terence Blanchard and Raul Midón. Clayton’s discography as a leader includes his debut recording, Two Shade (ArtistShare), nominated for a 2010 GRAMMY Award. Clayton also received nominations in 2011, 2012, and 2013. His latest recording is the acclaimed 2016 Combinations. The son of beloved bass player and composer John Clayton, Gerald enjoyed a familial apprenticeship from an early age. He honors the legacy of his father and all his musical ancestors through a commitment to artistic exploration, innovation, and reinvention. www.geraldclayton.com. 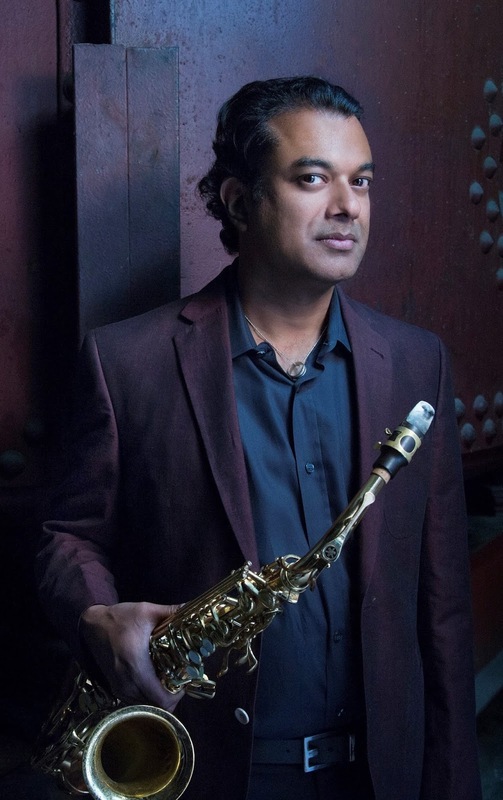 Few musicians share the ability of alto saxophonist/composer Rudresh Mahanthappa to embody the expansive possibilities of his music with his culture. What has materialized is a sound that hybridizes progressive jazz and South Indian classical music in a fluid and forward-looking form that reflects Mahanthappa’s own experience growing up a second-generation Indian-American. The current manifestations of that trajectory include his latest project Bird Calls (2015), which was named #1 album of the year by both DownBeat and NPR Music’s Jazz Critics Poll. Mahanthappa has been awarded a Guggenheim Fellowship, two New York Foundation for the Arts Fellowships, and numerous commissions. He has been named alto saxophonist of the year five of the past six years in Downbeat Magazine’s International Critics Polls and for six years running by the Jazz Journalists’ Association. In April 2013, he received a Doris Duke Performing Artist Award, one of the most prominent arts awards in the world. In 2015, he was named a United States Artists Fellow. In 2016, he was named the Director of Jazz and the Associate Director of the Program in Musical Performance at Princeton University. Agrima, the new recording with his Indo-Pak Coalition, will be released October 17. 7:30 PM, Taplin Auditorium in Fine Hall. Free and open to the public. GRAMMY nominated jazz singer and new music composer Theo Bleckmann’s diverse recorded work includes albums of Las Vegas standards, Weimar art songs, and popular “bar songs” (all with pianist Fumio Yasuda); a recording of newly-arranged songs by Charles Ives (with jazz/rock collective Kneebody); and his acclaimed "Hello Earth - the Music of Kate Bush." Bleckmann has appeared as a special guest on recordings by Ambrose Akinmusire for Blue Note Records and Julia Hülsmann’s trio for ECM Records. Bleckmann’s most recent recording Elegy, produced by legendary ECM label head and founder Manfred Eicher, was released in January 2017 on the ECM label. Bleckmann has collaborated with musicians, artists, actors and composers, including Ambrose Akinmusire, Laurie Anderson, Uri Caine, Philip Glass, Ann Hamilton, John Hollenbeck, Sheila Jordan, Phil Kline, David Lang, Kirk Nurock, Frances MacDormand, Ben Monder, Michael Tilson Thomas, Kenny Wheeler, John Zorn, the Bang on a Can All-Stars, and, most prominently, Meredith Monk, with whom Bleckmann worked as a core ensemble member for over fifteen years. He has been interviewed by Terry Gross on NPR’s Fresh Air and appeared on the David Letterman show with Laurie Anderson. In 2015, Bleckmann premiered a new work for the American Composers Orchestra at Carnegie Hall, and in 2016 he brought new work to the New York Philharmonic Biennial and the LA Philharmonic. Bleckmann has consistently appeared in the top-five spots in the DownBeat Critics’ Polls for Best Male Vocalist, and top-ten spots in their Readers’ Polls, and his work on Phil Kline’s “Out Cold” helped place that production on WQXR's Operavore "Best Opera of 2012". In 2010, Bleckmann received the prestigious JAZZ ECHO award from the Deutsche Phono-Akademie in his native Germany. Internationally recognized as one of the leading pedagogues in gospel and soul voice training and vocal technique, Dr. Trineice Robinson-Martin is a force within the academic, religious, and performance communities. Her pioneering scholarship on gospel vocal techniques and performance practices can be found in Journal of Singing, Teaching in the 21st Century ed. by Harrison and O’Brian; and So You Want to Sing Gospel and in upcoming publications Voice Training for the Gospel Soloist. Creator of Soul Ingredients™, Dr. Trineice holds doctoral and master’s degrees from Teachers College Columbia University in music education with an emphasis in contemporary commercial music vocal pedagogy, and a master’s degree in Jazz Studies from Indiana University-Bloomington. 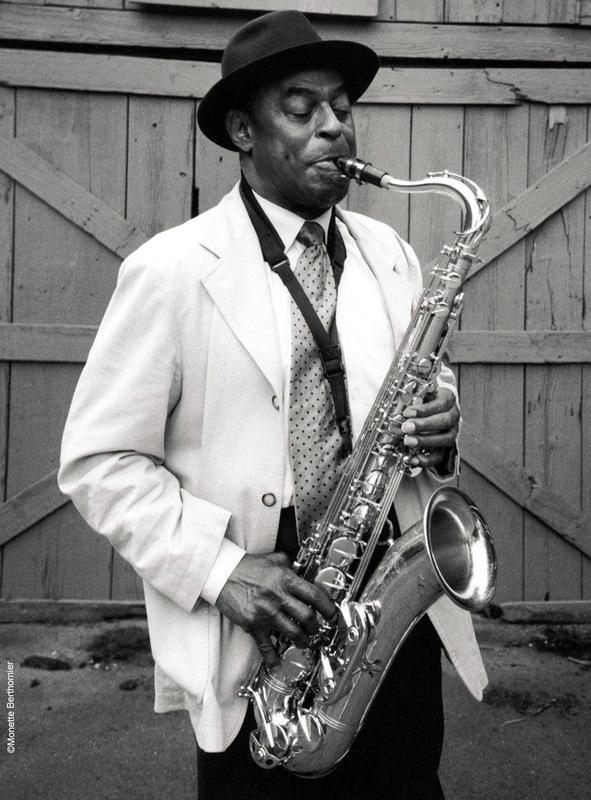 Saxophonist, composer, pianist, singer, politically committed poet, and playwright Archie Shepp is a legend. Born in 1937 in Fort Lauderdale, he grew up in Philadelphia, majored in theater at Goddard College and in 1959 moved to New York where he associated with artists such as Leroy Jones (Amiri Baraka), Ishmael Reed, Bob Thomson and William White. Shepp also performed with some of the most important musicians of the sixties: John Coltrane, Lee Morgan, Jimmy Heath, Freddie Hubbard, McCoy Tyner, Frank Zappa, Chico Hamilton, and others. His professional career as a musician began in that decade when he made two recordings with Cecil Taylor. He created the New York Contemporary Five with John Tchicai and made four records for Savoy and Storyville. He recorded for Impulse and made 17 records among which Four For Trane, Fire Music, and Mama Too Tight are regarded as classics. His collaboration with John Coltrane materialized further with the recording of Ascension in 1965. Shepp was involved in the creation of the Jazz Composers Guild, formed by the trumpeter Bill Dixon, which was a major turning point in avant-garde music and included Carla and Paul Bley, Sun Ra, Roswell Rudd, Cecil Taylor and Albert Ayler. In 1969 he began teaching music at the State University of Buffalo where he was the first acting director of their Black Studies program. In 1971 he began teaching at the University of Massachusetts Amherst and retired as Professor Emeritus in 2002. Since 2000 Mr. Shepp has performed frequently in Europe. Since 2004 he has released a number of albums including the 2013 GRAMMY-nominated I HEAR THE SOUND, a new recording of the renowned Attica Blues. In 2016, Shepp received the NEA Jazz Master Award. He continues to compose and record and is preparing a new album to be released in 2018. Amina Claudine Myers is a pianist, organist, vocalist, composer, master improvisor, actress, and educator. She has performed nationally and internationally throughout Europe, Asia, Africa, Australia, and North America. Myers began singing and playing jazz in college and moved to Chicago in the sixties, where she taught in the public schools for six years and composed her first choir for a musical, “I Dream.” In 1976 she moved to New York City and began writing music for theater, acting and composing for a number of off-Broadway productions. Myers has recorded with Archie Shepp, Charlie Haden’s Liberation Orchestra, James Blood Ulmer, Lester Bowie, Sonny Stitt, Anthony Braxton, Henry Threadgill, and others. She has released eleven recordings and composed many pieces for chamber orchestra, chorus, vocal and chamber ensembles, and big band. In 2010 she was commissioned by the Chicago Jazz Institute to compose a jazz orchestra piece in honor of Mary Lou Williams. Recent endeavors include performing original works of jazz, blues, gospel, spirituals, and improvisations for the pipe organ. Myers has received awards from the National Endowment for the Arts, Meet the Composer, and the New York Foundation for the Arts. She was inducted into the Arkansas Black Hall of Fame in 2001 and the Arkansas Jazz Hall of Fame in 2010. 5 PM, Taplin Auditorium in Fine Hall. Free and open to the public. Vocal innovator Jay Clayton shares her practice techniques and approach to free improvisation as well as fresh ideas for improvising over chord changes. One of the pioneering teachers of improvised vocal music, Clayton served as the director of the vocal department at Cornish College of the Arts for 20 years and was on the jazz faculty at Peabody Institute in Baltimore for 10 years. 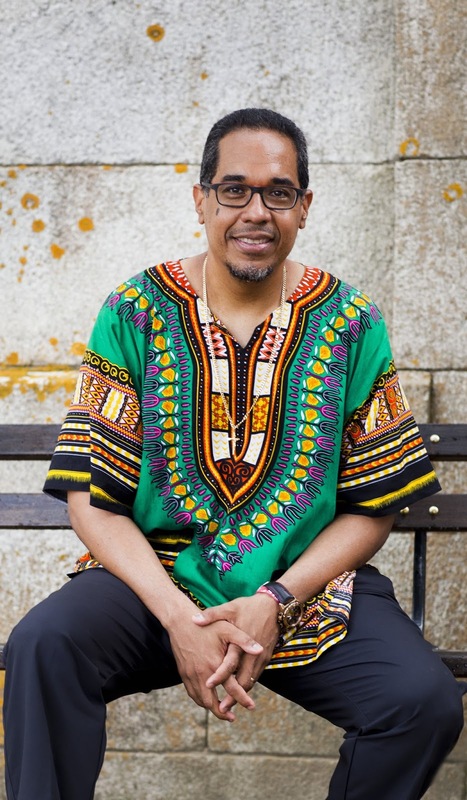 Pianist, composer, educator and social activist Danilo Pérez is among the most influential and dynamic musicians of our time. Born in Panama in 1965, Pérez started his musical studies when he was three with his father, a bandleader and singer. By age 10, he was studying the European classical piano repertoire at the National Conservatory in Panama. After receiving his bachelor’s degree in electronics in Panama, he studied jazz composition at Berklee College of Music. While still a student, he performed with Jon Hendricks, Terence Blanchard, Slide Hampton, Claudio Roditi and Paquito D’Rivera. He soon toured and/or recorded with artists such as Dizzy Gillespie United Nations Orchestra from 1989-1992, Jack DeJohnette, Steve Lacy, Lee Konitz, Charlie Haden, Michael Brecker, Joe Lovano, Tito Puente, Wynton Marsalis, Tom Harrell, Gary Burton, and Roy Haynes. In 2000, Danilo joined Wayne Shorter to form Shorter's quartet with John Patitucci and Brian Blade. 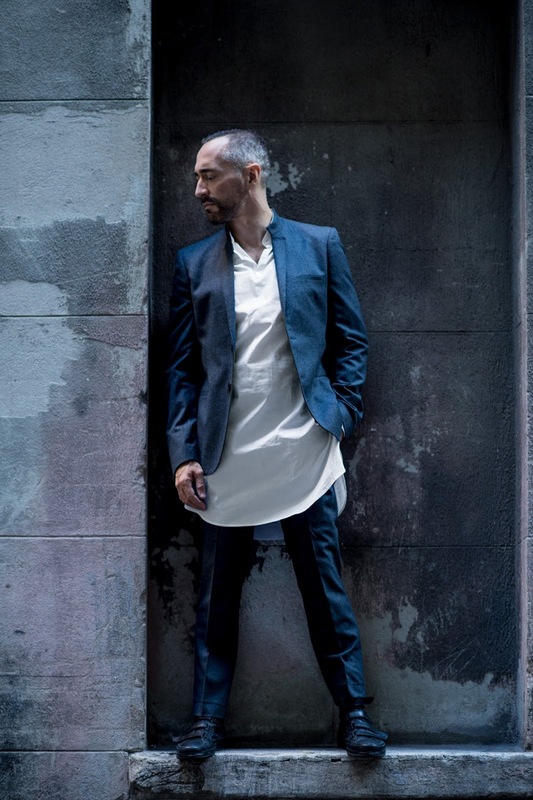 In 1993, Pérez turned his focus to his own ensembles and recording projects, releasing eight albums as a leader, earning several GRAMMY and Latin GRAMMY nominations. In 1996 he was signed by producer Tommy Lipuma to join the Impulse label and recorded Panamonk, a tribute to Thelonious Monk. Providencia, his debut for Mack Avenue Records, was nominated for a 2011 GRAMMY Award. As a composer, he has received commissions from Lincoln Center, Chicago Jazz Festival, Imani Winds Quintet, Carnegie Hall, and The Banff Centre. 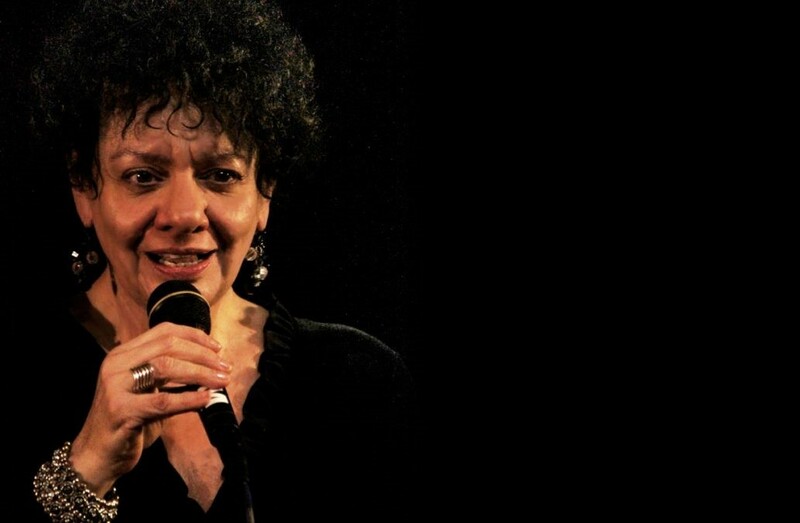 Pérez served as Goodwill Ambassador to UNICEF, and currently serves as UNESCO Artist for Peace, Cultural Ambassador to the Republic of Panama, Founder and Artistic Director of the Panama Jazz Festival, and Artistic Director of the Berklee Global Jazz Institute in Boston’s Berklee College of Music. His latest album, Children Of The Light, a collaboration with fellow Wayne Shorter Quartet members John Patitucci and Brian Blade, was released on Mack Avenue in September of 2015. O ultimo concerto do ciclo Porta Jazz Ao Pôr do Sol será apresentado este domingo pelas mãos do Pedro Neves Trio. 05:21 é o 27º disco com Carimbo Porta-Jazz. 05:21 descreve o primeiro momento do amanhecer. A narrativa do álbum sugere o percurso de alguém que atravessa esta hora do dia recorrentemente, enfrentando um turbilhão de pensamentos e sensações que o levam numa viagem alucinante que apenas termina quando por fim consegue adormecer. 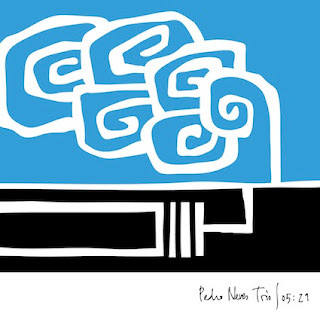 Esta é uma história escrita pela mão do pianista e compositor Pedro Neves, ilustrada por Miguel Ângelo e Leandro Leonet.